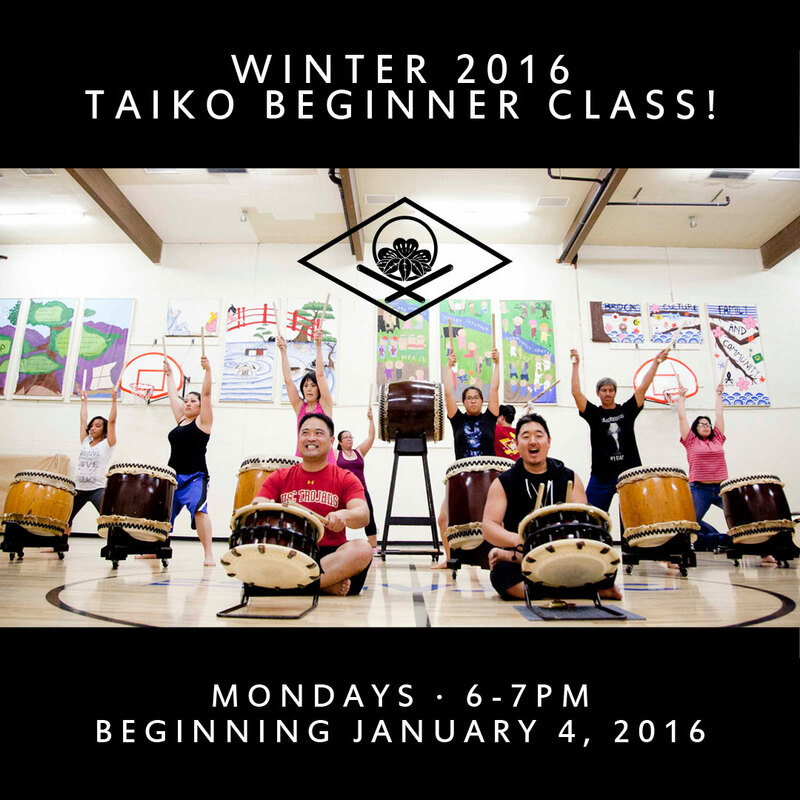 Winter 2016 Taiko Beginner Class! Looking for a new, fun activity to start in 2016? Kishin Daiko will be running a class for beginners starting in January! This 8-week course will be open to all ages 7 and up, so pass the word along to your friends and family! Cost: The fee is $80, and we’re offering a family plan rate!